Giannini addresses the public about Italy's education reforms. Casa Italiana Zerilli-Marimò director, Stefano Albertini, moderates a brief Q+A. 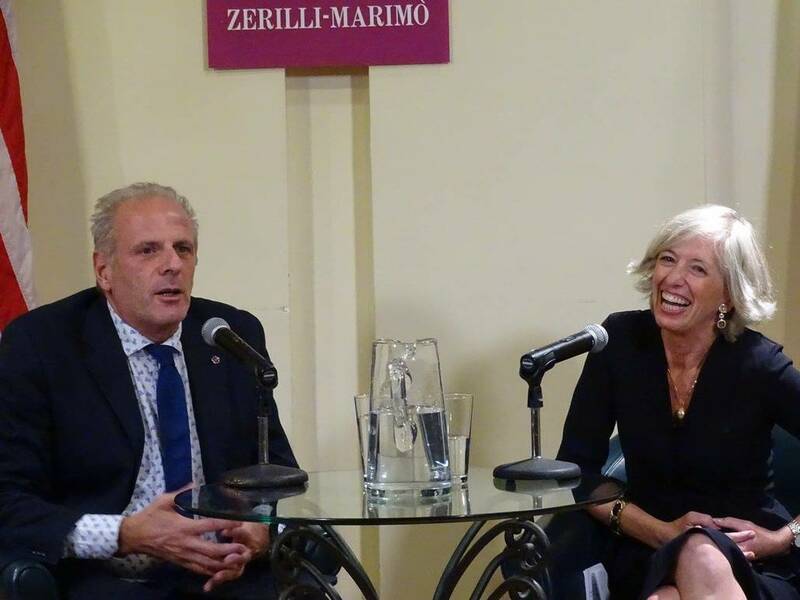 Monday night at the Casa Italiana Zerilli-Marimò in New York City, director Stefano Albertini invited the Italian Minister of Education, Stefania Giannini, to talk with the crowd about the current state of Italy following “Brexit” and her plans to reform the education system in her country. Prior to becoming the Minister of Education, Giannini was a professor of linguistics at L’Università per Stranieri di Perugia, and she held the position of chancellor at that same university for nine years. 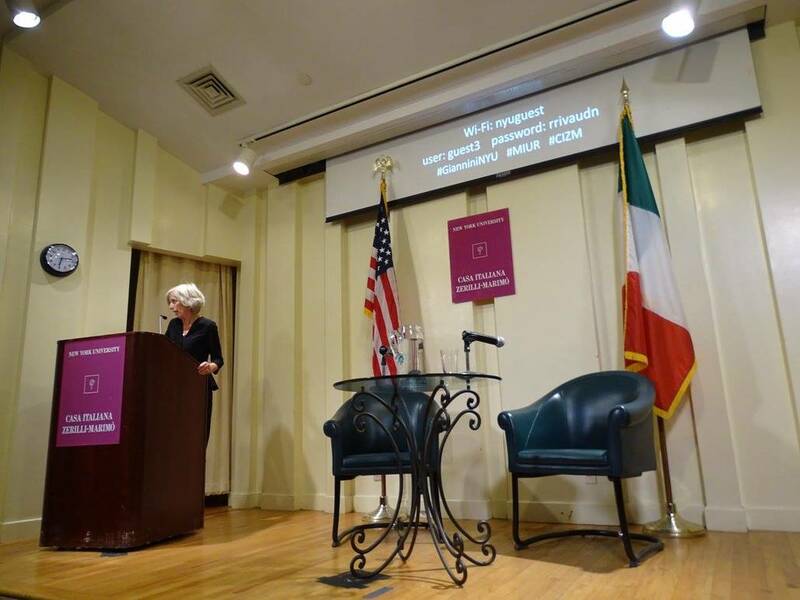 She is also very familiar with the American school system as she did a great deal in promoting the Italian language in high schools across the United States. She even received the America Award from the Italy-USA Foundation in 2015, an organization that aims to encourage partnership between the two countries. The difficulties that arose after the unexpected exit of Great Britain from the European Union and the increased migration to Italy are unprecedented. Giannini believes that Italy must lead by example and that it is time for a significant change in Europe’s approach to growth and job creation. She believes the key to keeping Europe competitive is education. She says, “Education is a fundamental right” and should be the main priority of political agendas everywhere. It is proven to be the most effective way to ensure social mobility, create a more inclusive society, and increase youth employment. Most importantly, Giannini strongly believes that the best innovators and the best ideas should drive public investment. This is the concept behind her new initiative, which will launch in the upcoming months. She will initiate an open call for scholars from all over the world and select 500 of them. She will provide them with a place to study and conduct research for three years. The top researchers will be offered competitive packages and grants within the Italian system. “Openness” is her number one priority as the Minister of Education. Giannini has already put certain reforms into effect. The “Buona Scuola” law, passed on July 13th 2015, contains provisions for improving the scope of students’ educations. Due to the ever- increasing role of technology in the global society, courses improving students’ computer skills will be offered. The Minister realizes that the both humanities and hard sciences are important. Therefore, course offerings of art, music, law, economics, and physical education will be strengthened. Additionally, the law recognizes the schools’ need for teachers and the teachers’ need for stable work. Individual schools can inform the State of their need for teachers or tools. The goal is to increase each school’s autonomy, which will therefore render the school more effective. 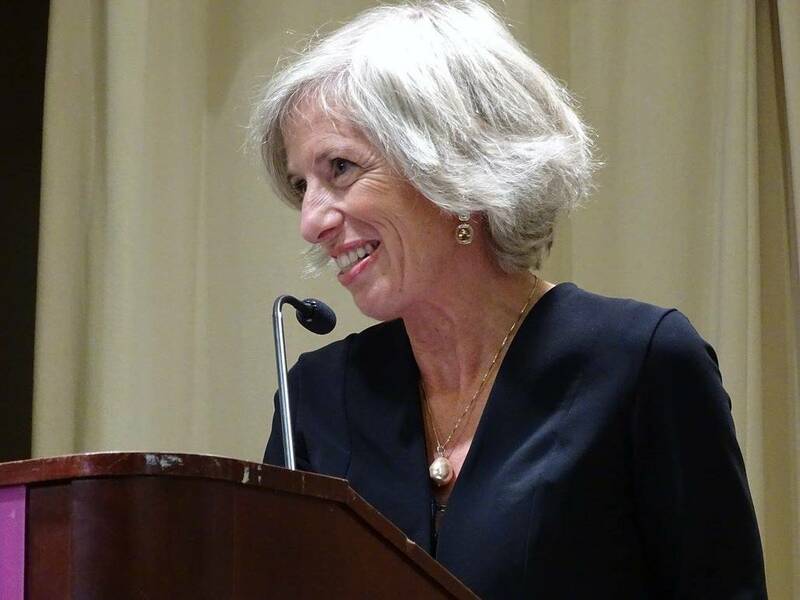 Albertini proposed a concluding question to Giannini: “What is one thing you that believe Italian universities can learn from the American system, and what is one thing you believe American universities can learn from the Italian University system?” Her response, Italians can learn to be more open. She says that Italians should not be afraid to have open debates with scholars from other countries, and they shouldn’t be afraid to encourage their students to try new experiences with other professors, other fields, or other countries. Americans can learn from Italians to continue studying the humanities because studying humanities synthesizes knowledge. In the United States, many people are familiar with the acronym S.T.E.M. (Science, Technology, Engineering, Math). However, in Italy the acronym is broadened to S.T.E.A.M. (Science, Technology, Engineering, Arts, Math). Giannini closed by reminding us that democracy thrives only with humanities, a point we should remember especially with the impending presidential election.